The Football Association's £230m project to revitalise football facilities across England has cranked up a gear with the opening of the first pilot community football hub in Sheffield. The state-of-the-art multi-pitch facility, known as St George’s Park (SGP) Sheffield Graves, is the first of 150 hubs planned as part of the FA's 'Parklife' project, which aims to transform grassroots football facilities across 30 English cities by 2020. The hub, located in south Sheffield, will be followed in the coming weeks by SGP Sheffield Thorncliffe - a second pilot hub planned for the north of the city. The hubs will serve as a focal point for grassroots football activity in the local area and offer greater access to player and coach development opportunities. The pilot facilities have been funded by the FA, Sheffield City Council and the Department for Culture Media and Sport (DCMS) via Sport England. The Premier League has also committed funding to support the rollout of future hubs. "Make no mistake, these hubs are the start of something big," said FA Chief Executive Martin Glenn. "The Sheffield centres mark the beginning of the end of a story all-too-familiar to the grassroots footballer of poor pitches, woefully inadequate changing facilities and a battle against the elements to get fixtures completed each winter. "The FA alongside the DCMS, the Premier League and local partners will be investing £200m to replicate this model across the country with momentum already starting to grow." 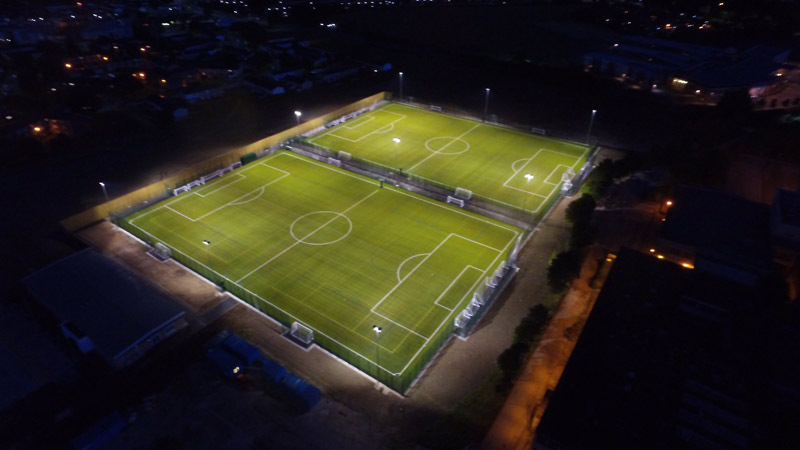 Once fully operational, the new Sheffield hubs will be called home by up to five local grassroots clubs, where they will host league matches on state-of-the-art 3G pitches - which will help to combat the annual winter disruption caused by frozen and waterlogged grass surfaces. Further hubs are planned in the city, with planning applications currently being considered for similar hubs in Liverpool and west London. The FA's 3G revolution aims to increase hugely the number of playing opportunities for players, whilst offering more football at flexible times in-keeping with the demands of the modern footballer. It is based on the premise that, typically, a decent artificial surface can offer over double the volume of football provided by a natural grass pitch, which can cater for six to eight playing hours a week, if well maintained. The new football hubs management model aims to tackle head-on the current over-reliance on local authority facilities. Once fully operational, the Sheffield centres will be self-sustaining via a charitable ownership model that sees the sites leased to the newly-formed Sheffield Football Trust. A private operator will be responsible for day-to-day running of the facilities, having won the contract through competitive tender. "Better football facilities are crucial to help strengthen the sport at the grassroots and that is exactly why the government is backing this project with funding," said Sports Minister Tracey Crouch. "This state-of-the-art facility will be a big boost to community football in Sheffield, with the all-weather pitches perfect for year-round use as well as for developing talent and coaching young people in the city. "I want to get more people involved in sport for the positive impact it has on people's lives and partnerships such as this one, bringing together The FA, local authority and government, can help achieve that."